For many companies, small and large, security can be a difficult task amongst itself. 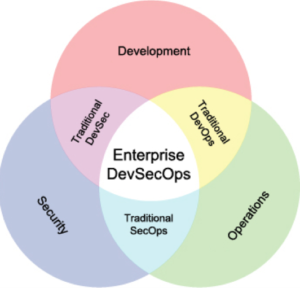 Application Security however, can be even far more daunting and complex as it addresses unique challenges across many functional and diverse areas and levels of expertise throughout an organization. Your applications are always up and running. Therefore, the attack surface is available and accessible 24/7/365. Your applications are dynamic in nature. They are always changing and being updated with new functionality, libraries and content. Your applications may contain thousands to millions of lines of code. All an attacker needs is one critical mistake in those numerous lines of code that are often written at different times, by different people in different locations. Modern applications are complex. Multiple libraries, open source code, projects, etc. are often used and trusted in production applications. Many of these may be outdated or insecure. Even the one that are not, may be tomorrow. Software engineers and developers are paid to write and ship functional code in often tight time constraints. Often there is little time or motivation for secure code. Testing must be done as early as possible and in a continuous manner. A snapshot in time security test is outdated minutes, hours, or days later. Obviously, this is a very high-level description of just a few of the reasons among hundreds more, on the basic level of why Application Security is the extremely challenging to do well. There is a reason that web-based attacks remain the leading factor in the majority of breaches for the past decade with no slowing down in sight. ImagineX can help. We offer complete and expert Application Security offerings that can be customized and tailored for any organization of any size. Secure developer training that can be customized based on organizational, developer or application/language specific needs. Customize manual health checks, assessments and AppSec pentests on a few, many or all applications as dictated by compliance, organizational, developer or application/language specific needs or requests. Managed AppSec scanning services. This can include a managed service on an on-going basis or even a one-time review and recommendation for best practices in scanning for SAST, DAST, IAST and RASP solutions regardless of vendor or tool. Complete suite of customized advisory consulting services on any and all aspects of Application Security. DevOps has been a staple at Actifio Inc. since its founding in 2009.